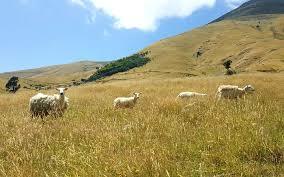 Although the Government has taken our views on livestock rustling into account, we can still go further, says Rural Women New Zealand (RWNZ). “RWNZ is pleased to see that our proposed changes to the Sentencing (Livestock Rustling) Bill 2018 are central to the Government’s legislative response to the issue,” says National Board Chair, Penny Mudford. “This crackdown is a long overdue recognition of the threat that rustling poses to New Zealand’s rural economy – rural businesses and families suffer serious financial losses and the invasion of property creates a feeling of vulnerability for those affected. “Classifying rustling and unlawful entry to land used for agricultural purposes as criminal offences will begin to alleviate the fears of rural communities and act as a deterrent. “However, the proposed changes fail to include aggravated rustling as a separate offence and therefore do not address the full extent of livestock rustling. “This failure could result in a lack of adequate responses to more serious offences. “We urge the Government to progress further on this matter in order to achieve the best outcomes for rural communities,” says Ms. Mudford.